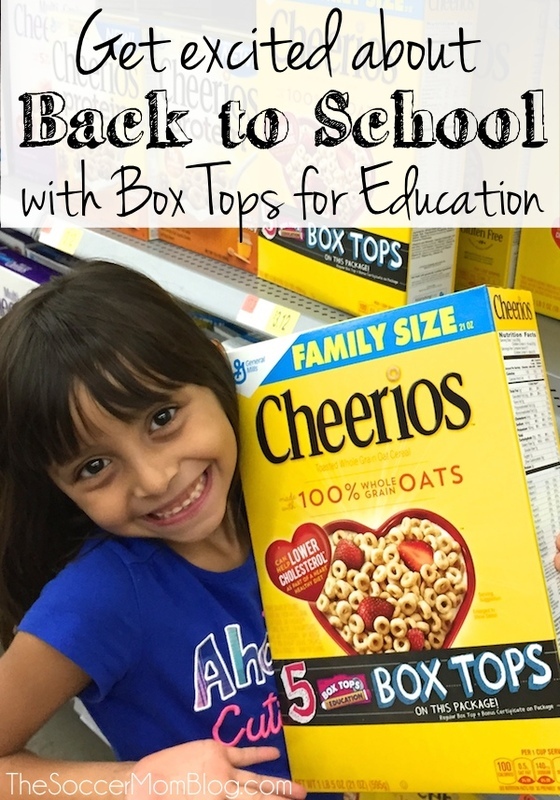 Get Excited about Back to School with Box Tops for Education! 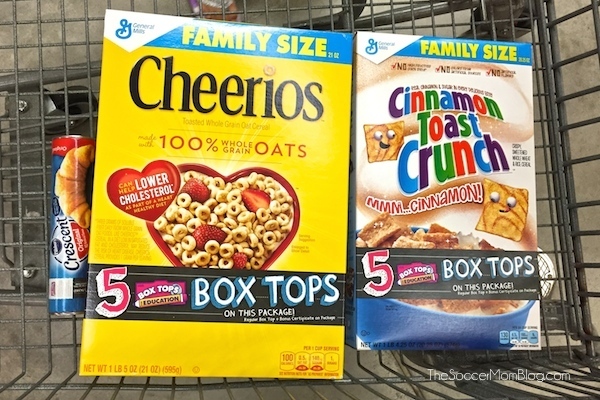 Home » Reviews » Get Excited about Back to School with Box Tops for Education! The end of Summer doesn’t have to be a bummer! The Box Tops for Education program gives kids a reason to be excited to go back to school. As soon as I mentioned the idea to Lilu, she started animatedly telling me about the collection box at her school. She already knows all about it and is thrilled at the prospect of being able to contribute this year! We couldn’t wait until our weekly grocery shopping trip, so we made a special visit to Walmart to pick up some of our go-to products that are included in the program. Cheerios are a favorite snack for both of the girls, so that was the first thing in the cart! Annabelle even got excited when she saw her “O’s,” as she calls them. The program is still essentially the same as it was when I was in school: purchase specially marked General Mills products, clip the box tops, and turn them in to your school. Your school can then redeem them for cash! Each box top is worth $0.10 — think how quickly that would add up if every student participated the entire year! 2- It is an activity that the entire family can participate in together. From little Annabelle scarfing down Cheerios to my husband enjoying a bedtime snack of Cinnamon Toast Crunch, we all use the products! I help Lilu get organized and she is the courier entrusted to bring our Box Tops to the drop-off. It’s an entire family effort! Now that we’ve gotten our first round of products and are well on our way to finishing them, we can start clipping and saving the Box Tops. Stay tuned next week and I’ll show you how I use the Box Tops for Education program to enrich Lilu’s learning at home!